The sustained weakness of the loonie-greenback exchange rate might prove helpful for the Canadian housing sector in 2017, according to an analyst. Vestcap Investment Management senior portfolio manager Lyle Stein argued that the low Canadian dollar could magnetize a greater inbound volume of foreign this year. “When your dollar is low you become on sale and smart investors with all this liquidity that is coming out of the bond market and looking for a home, why not own a home in Toronto, a home in Vancouver or a home in Ottawa as an alternative asset -- and that is what we are seeing,” Stein said in a recent interview with BNN. However, gnawing fears of a housing crash in the near future could prove harmful to the already struggling loonie—a situation exacerbated by the increased uncertainty in the global financial system following Donald Trump’s victory in the U.S. presidential polls. “When you look at the Canadian economy I was stunned that seven per cent of the economy is related to housing and housing-related activity and it has been like that for the past seven or eight years; if that starts to slow we are losing one of the key growth drivers in our economy and I think that is also coming into the fray,” Stein explained. In particular, a dire warning from Royal LePage—which predicted major double-digit decreases in Vancouver home prices this year—emphasized the crucial role that recent government interventions are having on this vital pillar of the economy. The B.C. government imposed its 15 per cent foreign buyers’ tax in mid-2016. 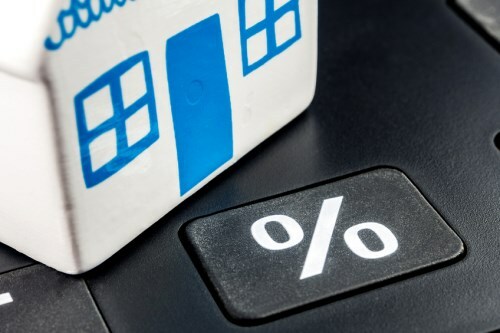 Combined with far-reaching revisions to federal mortgage rules late last year, a growing number of observers and industry professionals are voicing out concerns that the Canadian residential real estate sector is poised for a significant fall. “We are putting a lot of responsibility on a very narrow sector and that to me is the bigger problem,” Stein cautioned. About two years ago, the Canadian dollar sank as low as $.68 cents U.S. To suggest now that the low Canadian dollar will lead to more foreign buying is a bit late. It is my belief that foreign buying has become the main cause of the price of houses going up by 17-20% per year over the last few years. I further believe that the percentage of foreign (non-resident) ownership has been both underestimated and unreported. Banks are lending such investors at 35% LTV, with little attention paid to credit. For those foreign investors who had already leveraged a few million dollars with such purchases 2 years ago, they are already up by approximately 10% just on the exchange rate alone. We are likely getting to the point where the benefits to the construction industry no longer outweigh the excessive and insurmountable cost of housing. Dangerous times ahead. To the mortgage and real estate industry that has only seen modest corrections over the last 20 years, be afraid..be very afraid.